Martin Caron, first Vice-President of Union des producteurs agricoles, and Michel Duval, President of the Ordre des agronomes du Québec, presenting the award to Muriel Dubois, First Vice-President of La Coop fédérée. 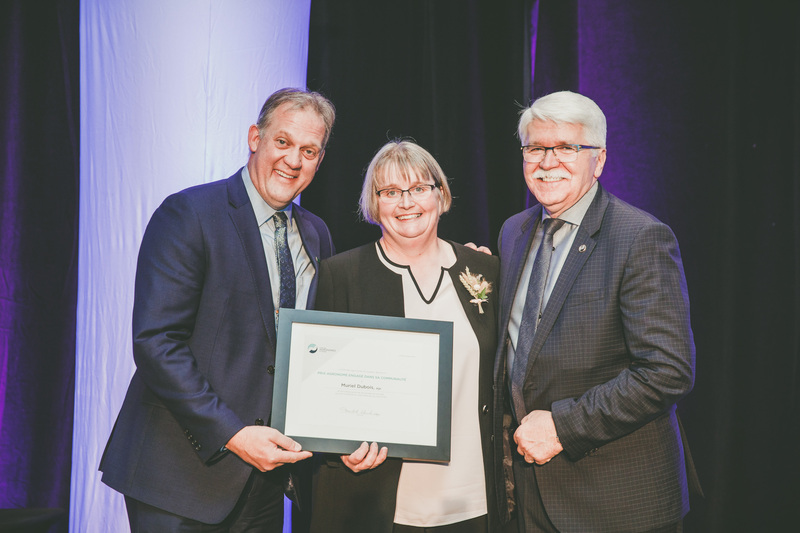 During the last convention of the Ordre des agronomes du Québec, which was help on October 18 and 19th in Boucherville, the agronomist Muriel Dubois, first Vice-President of La Coop fédérée, was honoured with the award for the Agronomist mot committed to her community. The prize, created by the professional order in 2015, honours an outstanding agronomist who was able to lead a project to fruition or was involved in activities that significantly contributed to the well-being of their collectivity. In addition to her bachelor’s degree in agricultural economics, Muriel Dubois also earned a University certificate in corporate governance. She has been the owner of Ferme Wallonie since 1992. The business is located in Sainte-Brigitte-des-Saults, in the regional county municipality of Drummond (Centre-du-Québec), and is now specialised in large scale crop farming. Throughout the years, Muriel Dubois has been involved in several regional organisations: as a member of the board of administration of Société d’agriculture de Nicolet, Exposition de Drummondville, Conseil régional des sociétés d’agriculture, the board of administration of La Coop Covilac and the Carrousel school’s governing board, among others. From 2009 to 2013, she was a city councillor at Sainte-Brigitte-des-Saults. In 2011, she was named Farmer of the year by the Fédération des agricultrices du Québec for the Centre-du-Québec. She has held the position of administrator with La Coop fédérée since 2012. As such, she is an administrator with the Conseil de promotion de l’agroalimentaire québécois d’Aliments du Québec, with the conseil de Solidarité rurale du Québec, as well as with the Centre de référence en agriculture et agroalimentaire du Québec (CRAAQ) and the Conseil québécois de la coopération et de la mutualité. 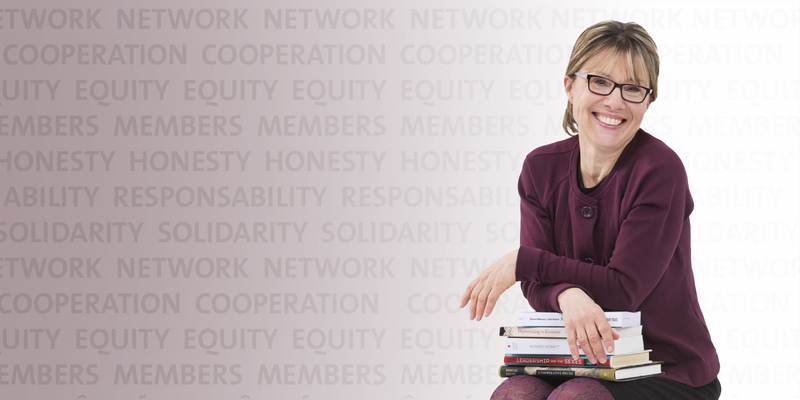 Note that Muriel Dubois is the first woman to be appointed Vice-President of La Coop fédérée. It is for her overall action and her positive influence that the Order has honoured her with this distinction. Congratulations!